As anyone who has hooded eyes well knows, one of our greatest makeup challenges is defining and making our eyes "pop." If you have hit a certain age and are dealing with the challenge of droopy, hooded lids, welcome to my world! I am the first person to admit, if I had the disposable income, I'd see a good plastic surgeon about this little situation but since correction isn't in my budget and insurance won't pay for the procedure unless the lids were actually interfering with my eyesight, I just have to deal. One way I deal is with makeup techniques. 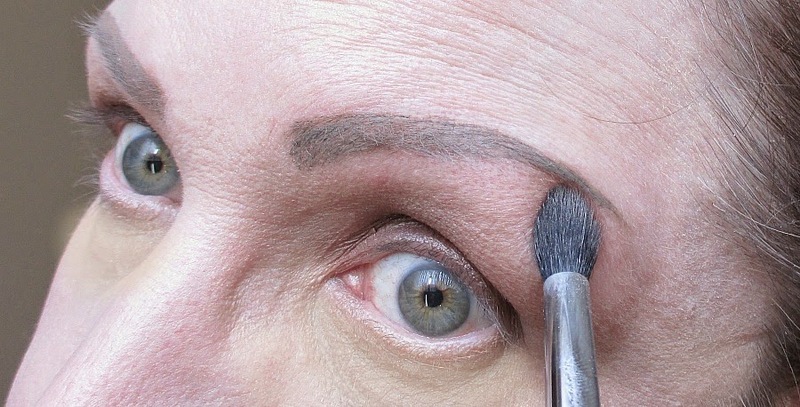 And one of my favorite makeup techniques is tight lining. Tight lining is a simple application of a gel or creme eyeliner to the upper eye lid's inner rim along the outer waterline and in between the lashes. Personally, I prefer to not line my entire upper waterline right back close to the eyeball. I have extremely sensitive eyes and allergies and liner way too close to my eyeballs has never come to a happy conclusion for me. However, as long as I keep the liner close to my lashes, themselves, I can tight line very successfully. 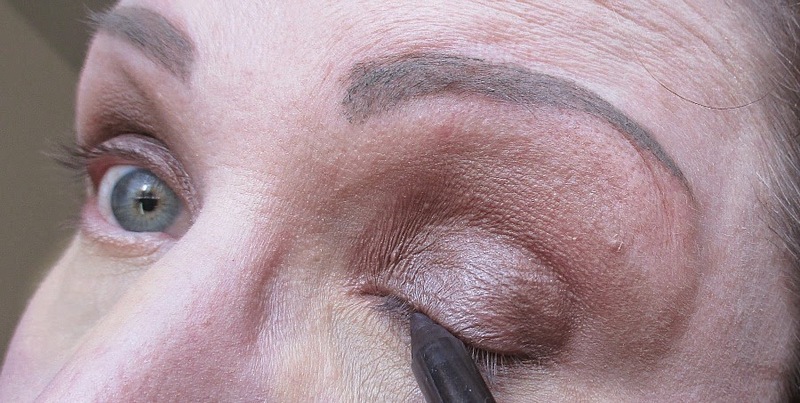 Of course, tight lining isn't just for those of us with hooded or drooping lids. 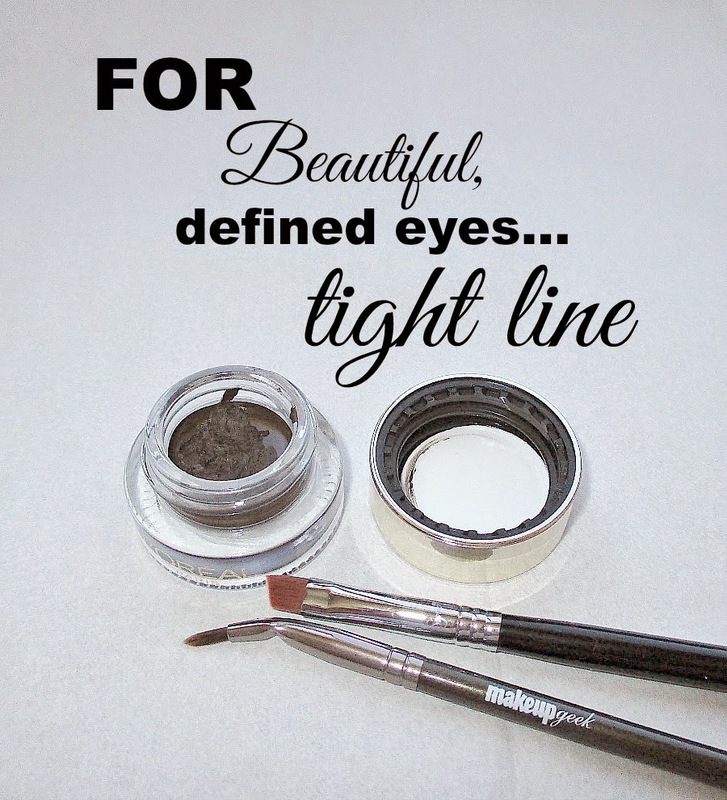 Tight lining enhances and defines eyes of any beautiful age or shape. First, you need a good gel or creme eye liner. I have tight lined with pencil and even liquid liner but I prefer a good, smooth gel or creme. Currently I am in love with L'Oreal Lacquer Liners. I own a couple, one in Espresso and one in Slate and I really dig them. They give me the depth of colour and definition I crave but aren't as harsh against my fair skin as black can be. Any brand or colour that you love is fine, just be sure that the gel liner is very smooth and easy to work with, gives you a little time to get it into place then sets fast and will wear all day without smearing into your eyes or blinking down onto your lower waterline. No one wants that faint, smeary transfer. That just isn't lovely. Second thing you will need is a good, small angled eye brush. It can be synthetic or natural hair, whatever your personal preference. For gel liner, I prefer synthetic. The brush should be thin, have a sharp, clean top line and be firm but not so stiff or prickly that it is uncomfortable or painful to the delicate tissue of your eye's upper waterline and lash line. You might also want to have a tissue and a few Precision Tip Q-Tips on hand. If you are anything like me, they will likely be pressed into service. Have your stuff together? Great! Let's get started. Okay, before we go any further, I grok that my photos are total amateur hour. This is the first time I ever tried using my camera, tripod and self timer to take pictures while applying makeup. Clearly, I need practice! First, apply your makeup as usual. I used eye shadows from the Urban Decay Naked on the Run palette for this soft, neutral eye look. My brows... Yeah. We're going to have a chat about that business, very soon. I like to curl my lashes then apply my eye liner. I find that if I line, then curl, my lash curler pulls some of my liner off and smudges it and makes a mess of my lash curler, too. Not acceptable. Once my lashes are curled, I apply liner to my upper lash line. I am using Urban Decay 24/7 Liner Pencil in Stag. Next, grab your gel liner and angled brush and dip in and pick up just enough of the liner to evenly coat the tip of the brush. If you get a bit too much of the liner on the brush or the shape of the brush gets a little splayed out, simply lightly dab off the excess and reshape the tip on the back of your clean hand or a tissue. I just do it on the back of my hand. With a little practice you will get the hang of how much liner to pick up with your brush. Most of the time, I can dip in and load up my brush once, do one eye, wipe my brush off really quick, reload and do the other eye. Okay, here is where it can get hairy, gentle reader. If you have never tight lined, before your eyes are not going to be super happy with the procedure. They may rebel by blinking, you may find yourself puling your head back... Don't worry, with a little time and practice, they and you will get used to it and it gets much easier. Just be patient and don't give up or give in to your eyes and their shenanigans. Angle your makeup mirror up and your head back, a little bit so that you are looking down into the mirror. 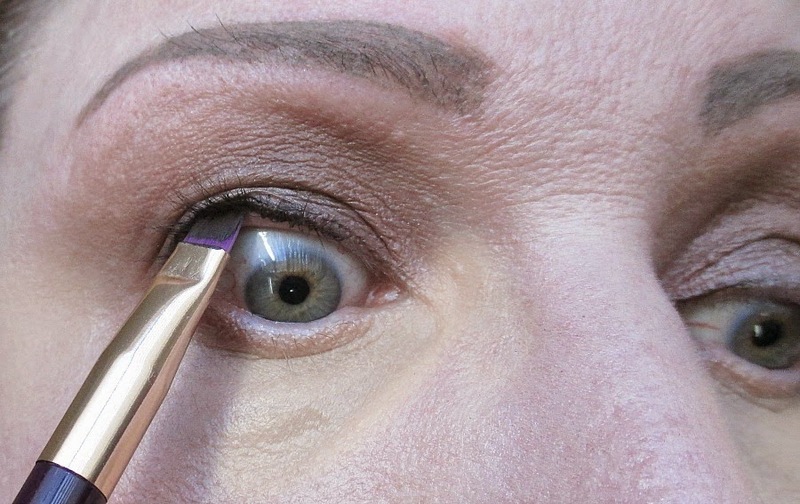 Holding your angled brush so that the lower end of the angle is toward the outer corner of your eye, start at the outer corner, kind of "sneak" the brush up and in and gently stamp the liner on the upper, inner rim of your eyelid then use the brush to wiggle the liner gently but firmly in between your eye lashes. This is where that firm brush is really going to do it's thing for you. Now, just move along to the next bit of lid and repeat. If your eyes are unhappy and you involuntarily blink, just grab a Q-Tip and clean it up, really quick, before it sets. Take a breath, relax, reload your brush and carry on. If you feel your lid getting a little twitchy, pull the brush back, start again from a more comfortable to your eyes spot and go forward. Sometimes that will enable you to move on across the lid and finish the job. One eye will always be a little easier than the other. My right eye is easier than my left, so I always do my left, first. Get the not so fun one over with, first! Once you have finished tight lining, keep your eyes open as best you can for a few moments to let your liner set well then go ahead and apply mascara. My tight line application isn't great in this shot... Trying to line in an unfamiliar mirror and take pictures at the same time was a challenge! This old dog is learning new tricks. My eyes, finished. As you can see, my upper eye line looks more defined, The extra liner under my lash line not only makes my lashes look a little longer and thicker, a good thing, especially with hooded/drooping lids, the liner breaks up that lighter expanse and makes my eyes more visible. In this full face shot, you can see the effect in action. 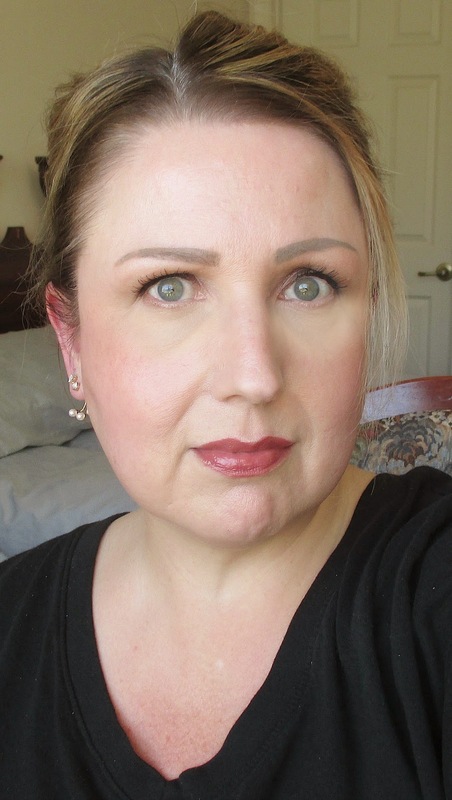 Even though my shadow is very neutral and pretty blown out, the tight lining makes a real difference in how my eyes appear at a little distance. That is all there is to tight lining. It is a quick, easy technique that will help your eyes look prettier and more defined. If you have never tight lined, before, I encourage you to give it a try, it really makes a big difference. I hope that you found this helpful. Do you like to tight line your eyes? What is your favorite liner to use? If you have never tight lined before, after reading this post, do you think that you might like to give it a try? Please do tell. I'd love to hear your thoughts. Nice! It tight line sometimes, but as a contact lens wearer, it's not often the best option. I love the look I get with tight lining. My fave brush to use is the little push liner from Wayne Argos. It's so tiny, I can get everywhere. My NARS gel liner in Black Valley doesn't budge once it sets, so it's perfect for tightlining. Some great tips on tight lining. To be honest, I rarely tight line myself since my eyes get watery and it feels a bit uncomfortable. I do like the look of tight lining so I might have to give them a try now. I guess its normal for my eyes to do that since its never really had eyeliner on there. I tightline because I have hooded eyes. I rarely line the upper lash line these days. Nice! I need to try this technique. It makes SUCH a difference to tightline. I can't do my smokey eyes any other way now. BTW Love the rebranding! I need to go back to tight-lining. My eyes wept buckets the last time I tried and I gave up. Great tutorial, and GREAT new look! You look so fresh in your pic!! I do this when I have time. It makes a world of difference! Love doing this! It makes my eyes look so awake! I love to tightline--it makes a huge difference in defining and it makes my lashes look fuller. ADORE your new name! You look fab by the way!! Thank you so much for your kind words. Tight lining is a lifesaver! Thank you! They are kind of freaking me out. I'm not used to seeing so much of my own face. I have a lot to learn about working that camera in my direction! Thank you so much. Your eyes may not like it, if not... Don't force them. I agree, it makes the look. Thank you so much. Yes! It's easy and makes a huge difference. Hee! Hee! To each their own. It is an adjustment! If your eyes are sensitive or watery, it can be more so. My eyes take it pretty well if I keep it really close to my lash line and don't get the liner too far back, by my eyeball. I must try NARS liner, one day. MAC, too. I hear raves about it. Definitely need to be careful with contacts! I can definitely see the effect of tight lining, especially in your full face picture. I've never tried tight lining. I don't have hooded eyes (yet...) and my eyes tend to be fairly sensitive. My left eye gets all watery if I just use eyeshadow to line my lower lid, so I'd probably be a weepy mess if I tried to tight line!